Well, I decided to do it myself! LOL There are so many special paint schemes out there for the original release, and then some later ones for the remapped tail version, it was a bit confusing. So, I am working on converting the original mapping models for all the great paint schemes that have been done for that. Afterwards, I will bring in the remapped tail version with a few other enhancements. The benefit, of course, is that we can control changes and updates, enjoy the Howard 500 in native FSX land with it added benefits, and be compatible with P3D thru v4 I hope. Here are a few paint schemes shown in the converted early passenger model by Milton Shupe, Scott Thomas, Joáo Paz, Tony Radmilovich, Matthew Garraway, Heather, Cha Seung Ho, Damian Radice, Gregory W. Hux, and Siegfried Schaeffer. Thank You Milton... The Howard 500 is such a brute. The hardest part of flying it is deciding which excellent paint scheme to use! Milton, sometimes I think you are reading my mind, this is just the best news. Nothing could make me more happy! Love the selection of repaints - big favourites! I've never seen that spiffy white with the red trim before. Man, we're getting all kinds of great FS news today. This one is for the updated tail version of the Howard. Done from actual one photo on the net. Not complete though, only right side. One day without laughter, is one day without living. One day without Flight Simming, is one day lost living. I worked for Gregg Aviation at KGGG back in my college days. 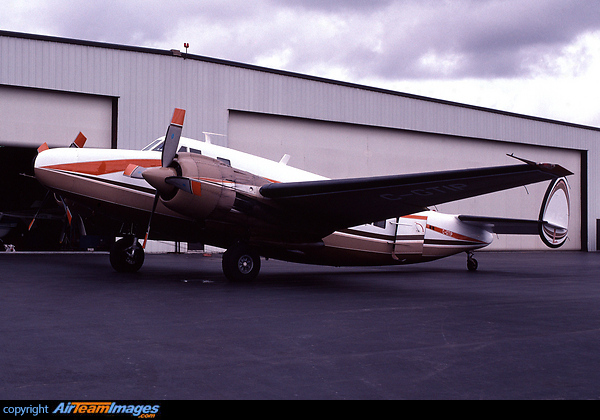 The owner of the FBO Barny Barnwell was the pilot for R. Lacy Oil who had a Howard N250JG. The sound of that beast taking off will stay with me forever. This plane really brings old times back and pulls at my heart. Gotta have this one!!!! Thanks for the responses and comments. I am happy to know that you are interested as there is so much work involved in these models due to the high parts and animation counts. But, very happy to report that frame rates on my 10 year old machine are great with stuff cranked up. Textures are set up for bump/spec treatment if anyone chooses to do that. I have 26 liveries for this and will likely make them all available. I will need one or more P3Dv4+ users to do some early testing so we can sort out what doesn't work, if anything. Since the liveries were developed for FS9, some alpha channel adjustments may be necessary for P3D (depending on your options) whereas in FSXA, they look fine. The package still looks great, still flies great, still sounds great. It should be a fun product to enjoy. Interesting story Sir. Back when we did the original project, Scott Thomas (who did the panel, gauges, and first sounds) and I were invited to visit the aircraft in MN and fly up to Oshkosh for the annual event, and back. I could not go but Scott went, flew in Howard 500 N500HP, got lots of pics, recorded some sounds, and actually flew in the left seat after leaving Oshkosh. He is a licensed pilot as well. That was a great experience and really helped bring the project to light. Additionally, Dave Cummings, pilot and in charge of maintenance for the aircraft supported our efforts with pictures, videos of gear and flaps in operation, sounds, POH, and flight model development. Dave is also a flight sim enthusiast. Attached is the front page of the POH. Beautiful progress on that one TF; I'll look forward to it. "Howard 500, registration N4362F. N4362F was flown by Jimmy Leeward, the pilot that flys the P51D "Cloud Dancer" at the Reno Air Races, from 1972-1974.Textures only for the Howard 500 by Milton Shupe, Scott Thomas, Joáo Paz. Repaint by Damian Radice." Not long after the Howard 500 release, Damian joined the team as our texture artist. There's only two repaints by me for the revised tail model. Not sure if it's worth porting over for just the two. Anyways if your willing the cowl should be shorter, but the exhaust deflectors or what ever there called should be longer and the side one lower on the nacelles below the wing root. Would like to be able to detail the are below the wings on the nacelles with the proper art work. Also the flaps. A wish lists but it's entirely up to you. P.S. I went digging and found all my psd files from 6 years ago just in case. EDIT: Defiantly want to take a crack at this one. Lots pin striping in this one. Milton, you are fire. Your hard work is really apreciated by propellers lovers like me. In a couple of months you have updated XP-47, XP-72, D18S,Fleet Aircraft 50K, Avia 56 and the Lodestar (perhaps I have forgotten some one). What are your plans for 2019? Congratulations Milton and team. Appreciate all the work you put into the Native conversions. I cannot make the adjustments requested as that would nullify the whole purpose of doing this project, which was to give the original model mapping FSX/P3D compatibility. Everyone of the 26 liveries I have would have to be changed, or would be unusable. Regarding your two paint schemes on the remapped tail versions, if I can do those two models easily, I will do them. All future paints then would have the benefit of the revisions made. I am restricting myself to converting FS9 projects to FSX native. My eye sight is not what it used to be and I have much to do yet. Roland, I agree that is a nice looking aircraft. Not likely you would find any detailed 3-views from which to model it though. I have to be careful what I take on as I have restrictions in what I can do. Teamwork is what made our projects in the past. I pretty much work alone on most conversions. New project work is barely possible now. Oh yes! Now we're talking! I'd gotten sidetracked on doing any Howards by r/l issues. Guess I need to get back on them. Roland, thanks for the pics of the tri-gear version, I've never seen that before. The style of the windows make it look like a flying yacht.